Of all the cancers diagnosed in the United States per year, 7% are found in young adults ages 13-39. Additionally, there are more than 420,000 long-term pediatric cancer survivors in the U.S. under the age of 40. Many of these young people have either not started or not completed their families. Unfortunately, one well-known side effect of many chemotherapies is toxicity to the ovaries and testicles, resulting in infertility. This is obviously a devastating consequence for young patients who have already overcome a life-altering disease. Due to lack of insurance coverage for fertility preservation options, many patients are unable to access the necessary technologies. Thus a profound injustice is perpetuated, because these young patients are forever reminded by their infertility of the disease they overcame. The Coalition to Protect Parenthood After Cancer seeks to expand insurance coverage to include fertility preservation as an added benefit. This will alleviate both psychological and physical suffering on the part of our young cancer survivors, who deserve our full support in their quest for a normal quality of life, including access to reproduction. To ensure everyone who needs fertility preservation medical treatment to prevent iatrogenic infertility due to cancer or other disease has access to that treatment, and that it is covered by health insurance as the standard of care. 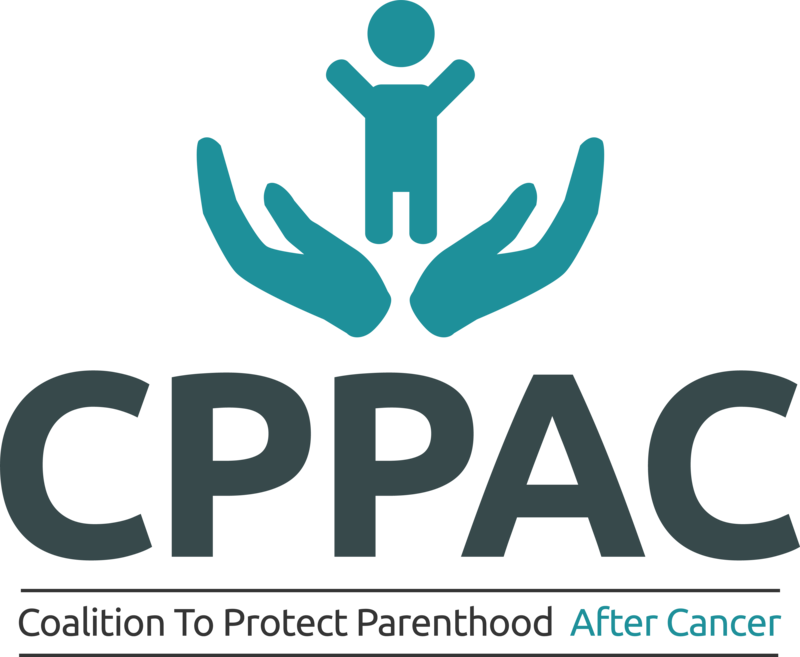 The Coalition to Protect Parenthood After Cancer (CPPAC) works to preserve the opportunity for parenthood after treatment for cancer and other diseases by raising awareness of this option into the doctor/patient conversation, as well as by advocating for insurance coverage of fertility preservation, thus helping patients have biological children in the future.